The last selection for the World Championship Young Dressage Horses in Verden, Germany will be held tomorrow. 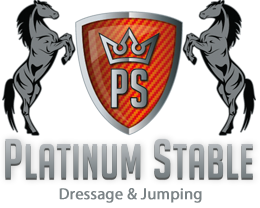 Estoril and Eye Catcher, both owned by Platinum Stable and Joop van Uytert, will compete in the fourth and final selection round. 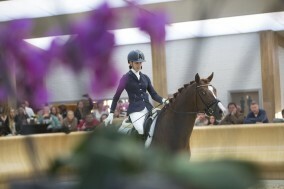 The selection will be held at the KNHS Center in Ermelo. Find the starting order here. Estoril will be ridden by Emmelie Scholtens who already became World Champion before with the stallions Westpoint and Astrix. She also won bronze medals with Dorado and Bretton Woods before. Eye Catcher will be ridden by Kirsten Brouwer who became 9th last year with Dancer. We wish Emmelie and Kirsten the best of luck!